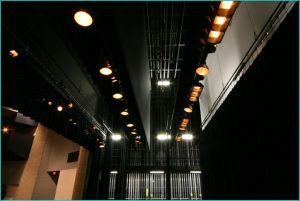 A V Pro, Inc. offers full-service technical performance systems integration specializing in the permanent installation of sound, theatrical/studio lighting, theatrical rigging, stage draperies, and data projection systems. Our services include equipment recommendations and sales, complete system design and installation, competitive bids on published bid specifications and service/repair of existing systems. Since A V Pro’s inception in 1985 we have installed hundreds of projects throughout the United States with a primary client base in the southwestern portion of the country. 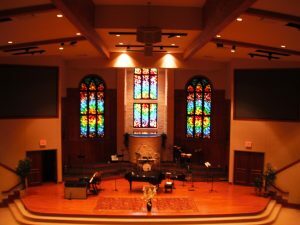 Our family of customers includes public school and university performing arts centers, houses of worship and regional theatres. Additionally, our work can be found in conference centers, municipal and corporate board rooms, as well as community and recreation centers. First-rate customer service stands as the number one priority of the staff at A V Pro, Inc. All of our well-trained representatives remain committed to listening to customers and presenting workable solutions to provide the best systems possible within the prescribed budget. Offering individualized personal attention, we pledge to address the unique and specific needs of your facility. A V Pro, Inc. welcomes all customers, regardless of your budget size. Whether you are seeking individual products, needing a small portable system, or looking at complete systems renovation or new construction, we are genuinely interested in your business. Please contact A V Pro, Inc. today and allow us to serve you!